One of the striking common features of ancient history was that all of mankind’s four great cradle civilizations were wheat, barley, or millet field irrigation agricultural societies that arose in semiarid environments alongside large, flooding, and navigable rivers. For all their differences, Egypt around the Nile, Mesopotamia along the twin Tigris and Euphrates, the Indus civilization around the Indus, and China along the middle reaches of the Yellow River also shared similar political economic characteristics. They were hierarchical, centralized, authoritarian states ruled by hereditary despots claiming godly kinship or mandate in alliance with an elite class of priests and bureaucrats. All power was imposed top-down through control of water, which was the paramount factor of economic production, and managed through the marshaling of mass labor. In his classic 1957 work, Oriental Despotism, Karl A. Wittfogel proposed a causal linkage between centralized authoritarian states and specialized, mass irrigation agriculture. The overriding challenge of so-called hydraulic society, he posited, was how to intensify exploitation of its silt-spreading, flooding river’s potential water resources. The larger the river, the greater was the potential productive wealth, population density, and power of the ruling hydraulic state. Yet only centralized planning and authoritarian organization on an immense scale could exploit water resources to their productive maximum. Surplus yields depended critically upon delivery of adequate supplies of water at the right time to the right places as well as protection against catastrophic flooding. This required the forced, often brutal mobilization of hundreds of thousands, and sometimes millions, of peasant laborers during lulls in the farming season to construct and maintain irrigation and diversionary canals, sluices, water storage dams, protective dikes and levees, and other waterworks. The bulky, inherently hard-to-manage physical property of liquid water itself, noted Wittfogel, “creates a technical task which is solved either by mass labor or not at all.” Once conscripted and organized for waterworks, the workforces were readily mobilized by the state to construct its other celebrated grand monuments of hydraulic civilizations—pyramids, temples, palaces, elaborate walled cities, and other defensive fortifications like China’s Great Wall. In further support of his hydraulic theory, Wittfogel observed that similarly organized theocratic, authoritarian, gigantic public-works-building agrarian societies, based on miraculously easy and fast-growing maize and potatoes, and responding to other labor-intensive water management challenges, were reinvented again much later in the New World, among the Olmec-Maya on cultivated swamp mounds of the tropical lowland habitats of Central America and on the bleak, terraced, and irrigation-channeled mountain plateaus of the Andes inhabited by the Incas and their predecessors. Wittfogel’s theory of hydraulic society fueled much debate over the decades, including whether the cooperative needs of irrigation created the large centralized state or vice versa. Yet such debate often sailed past the most salient point: the two social formations were complementary; they reinforced one another. Power and social organization in such societies depended absolutely upon regimented, concentrated control of the water supply. Whenever the water flow was interrupted, whether from natural or political causes, crop production fell, surpluses dissipated, dynasties and empires toppled, and starvation and anarchy threatened the entire social order. Ancient hydraulic societies tended to thrive where two prominent conditions existed: first and foremost, where the best available resources of water were highly concentrated in the state-controlled irrigation source; second, where the unifying presence of a dominating, navigable river gave the state command over regional communication, commerce, political administration, and military deployment. For millennia authoritarian irrigation societies produced the most advanced civilizations in the world. Although the hydraulic model would be supplemented, and eventually superseded, by new social formations, it produced a recognizable prototype that has endured through history. Whatever the era, huge water projects requiring vast mobilization of resources tended to go hand in hand with large, centralized state activity. Vestiges of this hydraulic tendency were evident in the giant dams built in the twentieth century by centralizing liberal democratic, communist, and totalitarian states, often in the early stages of restoration periods. Ancient Egypt was the prototype hydraulic civilization because its river, the Nile, was the consummate hydraulic waterway. The Greek historian Herodotus, who visited in 460 BC, famously described Egypt as the “Gift of the Nile.” Indeed, Egypt’s history was—and still is—almost entirely determined by what happened on and around the natural phenomena of its great river. The Nile provided everything that was needed in virtually rainless Egypt. It was the only large source of irrigation water and its annual flood brought a thick, self-renewing layer of fertile black silt for its farmland. Unlike other great rivers, the annual flood season arrived and receded with clockwork predictability and in miraculous synchronization with the agricultural cycle of planting and harvesting. It was one of the easiest landscapes to manage for irrigation. Egyptian farmers needed merely to construct embankment breeches, sluice gates, extension channels, and some simple dikes to retain sufficient floodwater to soak the soil in the cultivated, low-lying basins beyond the river before releasing the excess to the next basin downstream. The Nile’s steep gradient, furthermore, kept the river flowing steadily with good drainage that helped to flush out the soil-poisoning salts that afflicted artificial irrigation systems everywhere else. Indeed, the Nile was world history’s only self-sustaining, major river irrigation system. The Nile’s natural beneficence also bestowed Egypt with a second great gift—it was a rare two-way navigable river. Its current and surface wind moved in opposite directions all year round, so it was possible to float downriver with the current and sail south upriver in simple, broad-bottomed vessels with square sails. Finally, the wide, waterless desert beyond both banks provided a defensive barrier that helped insulate ancient Egyptian civilization against large-scale invasion for centuries. As a result of Egypt’s total reliance on its single grand river, the flow of political power to the center in Egypt was simple, total, and unchanging. Throughout history, whoever controlled the Nile also controlled Egypt. The Nile’s bounty, however, depended upon one unpredictable variable beyond the Pharaoh’s control—the extent of the river’s annual flood. Excessive flooding inundated entire villages and wiped away cropland. Far worse were years of low flooding when insufficient water and silt resulted in famine, desperation, and chaos. To an astonishing degree, dynastic rises and declines throughout Egypt’s long history correlated to cyclic variations in the Nile’s floods. Good flood periods produced food surpluses, political unity between Upper Egypt’s Nile Valley and Lower Egypt’s marshy delta, waterworks expansions, Egyptian civilization’s glorious temples and monuments, and dynastic restorations. Extended years of low flood, by contrast, were dark ages of privation, disunity, and dynastic collapses. Without Nile water, neither the wise nor the corrupt could rule effectively. Pharaoh’s kingdom fractured between valley and delta and sometimes further into competing precincts ruled by warlords and menaced by bandits. Ancient Egypt was marked by the rise of three great kingdoms—the Old Kingdom (circa 3150–2200 BC), the Middle Kingdom (2040–1674 BC) and the New Kingdom (1552–1069 BC)—and their respective dissolutions into the intervening First, Second, and Third Intermediate Periods. Nile flood levels were so important to determining tax revenue from the harvest and overall governance that they were assiduously monitored by priestly technocrats from Egypt’s early beginnings by nilometers, which were depth gauges marked off on stones and originally situated at temples along the river. Nilometer records show that the fates of Egypt’s subsequent occupiers were likewise driven by cyclic oscillations in the flood level of the Nile. In short, the rhythms of the Nile framed all the essential parameters of history and life in Egypt, including food production, population size, extent of dynastic reach, and conditions of peace or strife. Nile flood levels, in turn, ultimately depended upon an occurrence far beyond Egypt’s borders—the degree of the summer monsoonal rains that fell at the headwaters of the Blue Nile. The Blue Nile started in Ethiopia’s Abyssinian plateau at over 6,000 feet at a spring venerated by the modern Ethiopian Orthodox Church. The southernmost source of the White Nile, the river’s other main branch, was at a spring in Burundi in Africa’s equatorial plateau lake region. The Blue and White Niles came together just north of Khartoum in the Nubian Desert before entering Egypt. By the time the Nile emptied into the Mediterranean Sea, its 4,168-mile journey made it the world’s longest river. Yet by total water volume it was comparatively small—only 2 percent of the mighty Amazon, 12 percent of the Congo, 15 percent of the Yangtze, 30 percent of the Mississippi and 70 percent of Europe’s Danube, Pakistan’s Indus, or America’s Columbia rivers. Virtually none of its net flow originated within rainless Egypt’s own hot, arid borders. Since about half the White Nile’s water evaporated in Sudan before reaching Egypt, some four-fifths of the river flow sustaining Egyptian civilization, and nearly all its precious silt, originated in the highlands and deep ravines of Ethiopia. Every summer monsoonal rains swelled the Nile’s tributaries in Ethiopia, triggering the downstream rush and the annual flood. The river normally rose in northern Sudan by May and by June reached the first cataract near Aswan in southern Egypt. By September the entire Egyptian Nile Valley floodplain was inundated under a turbid, reddish-brown lake, which then began to recede into the main river channel but left behind its thick, odorous residue of fertile black silt. By managing the overflow of water with simple irrigation works, Egyptian farmers produced the ancient Mediterranean’s richest breadbasket. Crops were planted in the waterlogged soil following the inundation and harvested in late April and May after the floods were gone; during the early summer the mud baked and cracked under the hot sun, aerating and reinvigorating the soil. Seeds were cast over the ground and buried by wooden scratch plows—a simple hoelike, wheelless implement dragged by a draft animal. Thousands of years of annual flood deposit built up 10-foot-high natural embankments ideal for human settlements on both sides of the river’s nearly 600-mile length through the narrow Nile Valley. Just over the embankments were low-lying basins for farming, a total area less than modern Switzerland, into which farmers channeled the Nile’s resources of water and silt to produce Egypt’s emmer wheat and barley. The Nile in Egypt consisted of two distinct hydrological and political zones. Upper Egypt was the Nile Valley from the first cataract at Aswan. Just north of modern Cairo began the fan-shaped, rich, labyrinthine 100-mile-long delta of reedy marshes and lagoons of Lower Egypt, whose topography and history were also partly molded by the fluctuating sea levels of the Mediterranean. When the kingdom was robust, one Pharaoh wore the double red and white crown symbolizing the unity of delta and valley, respectively. The first to wear the double crown was Egypt’s traditional founder Menes, the so-called King Scorpion, who as prince of Upper Egypt finally conquered the delta around 3150 BC and established Egypt’s capital at Memphis at the delta’s head. Power had consolidated over the previous centuries in both the delta and the valley from the battles of dozens of independent chieftains, themselves descendants of the nomadic hunter-gatherer bands who had settled closer to the river’s water supply during the gradual drying of the regional climate. Whether Menes was a ceremonial title or an actual historical king, possibly identified with the early ruler Narmer, his legend accurately reflected the essential origins of Egyptian civilization, including his close personal identification with irrigation waterworks, and the fundamental duty of the ideal Pharaoh to control the flow of the Nile. Menes’ royal ceremonial macehead, for instance, shows him as a conqueror wearing the white crown of the valley, dressed in a kilt and belted loincloth with a bull’s tail, and using a hoe to dig an irrigation canal, while another figure removes the excavated dirt in a basket. Menes’ macehead paralleled records from other hydraulic societies showing sovereigns immersed in the daily functions of opening and closing floodgates, allocating irrigation water to peasants’ fields, and directing waterworks construction. The older hydraulic civilization in Sumeria, with which Egypt had sea contact from the earliest times, was notably influential in the developmental trajectory of ancient Egypt’s methods and tools. The hydraulic nature of ancient Egypt was also evidenced in the world’s first recorded dam, a 49-foot masonry giant, supposedly built around 2900 BC to protect Menes’ capital at Memphis from floods. Actual archaeological remains exist of another similar, masonry-faced, earthen reservoir dam 37 feet tall and 265 feet wide at the base, from between 2950 and 2700 BC about 20 miles south of modern Cairo. Far more common in ancient Egypt were simple, often short-lived earth-and-wood diversion dams to direct irrigation water during flood season. The Nile’s propitious characteristics and the simple, irrigated basin agriculture it supported visibly shaped all aspects of Egyptian culture, society, and daily life. At the apex of the hierarchical Egyptian state was the Pharaoh, the absolute sovereign who in the Old Kingdom was viewed as a living god who owned all the land and controlled the river. Supporting him was an administration of elite priest-managers, with such indicative titles as “inspector of the dikes,” “chief of the canal workers,” and “watcher of the nilometers.” The priests’ divine authority was validated by their command of such vital esoteric secrets as when the river would flood or recede, and when was the right moment to plant and to sow, and the technical engineering of durable waterworks. The state’s totalitarian power was underpinned by the centralized collection, storage, and distribution of grain surpluses produced in good years. Labor on waterworks, and other state projects, was carried out by one of the oldest forms of manpower mobilization in world history—the compulsory, seasonal corvée. The peasant’s duty to Pharaoh and state was so absolute that it continued into the afterlife; the peasant was often buried with clay statuettes that symbolically stood in for his perpetual work obligations after death. Control of water also helped foster the development of many of Egypt’s early sciences and arts. The learned elites created calendars to facilitate farming, surveying tools to regrade and mark off land after inundations, and maintained written administrative records on parchment manufactured from the common papyrus reeds of the Nile delta. Papyrus, the oldest form of paper, represented one of history’s earliest uses of water in manufacturing. It was fabricated by peeling away the outer covering of the reed, then cutting the stalks into thin strips, which were then mixed with water to activate its innate bonding properties. The thin strips were then layered, pressed, and dried. A second linchpin of Pharaoh’s power, repeated in societies throughout every age of history, was control of the region’s key water transport highway. Control of shipping on the Nile allowed the Pharaoh to regulate all important transport of people and goods, and thus provided the means to exert effective rule over all Egypt. Barges laden with grain, oil jars, and other goods commonly plied Nile ports from Memphis to Thebes to Elephantine Island and, after 2150 BC, beyond to Nubia in modern Sudan when a canal was excavated through the solid granite at the Aswan water falls. The Nile artery, the richness of its valley and the delta, the predictable onset of its floods, and its protective surrounding desert also rendered Egypt one of world history’s most inward-looking, changeless, rigidly ordered, and longest-enduring civilizations. Yet Egypt’s simple basin agriculture was only a one-crop system with limited capacity to increase output beyond a certain ceiling. This capped Egypt’s maximum population level and left Egyptians highly susceptible to famine and instability during prolonged periods of low Nile floods. From about 2270 BC onward, the central authority and cultural grandeur of the Old Kingdom gradually disintegrated amid anarchic warfare among provincial chieftains, banditry, and famine. A climatic dry period in the Mediterranean region, which simultaneously disrupted civilization in Mesopotamia, contributed to a series of low floods on the Nile that undermined the agricultural economic basis of society. Egyptian civilization’s first dark age of disunity and competing fiefdoms lasted nearly two centuries. The return of abundant Nile floods resuscitated agricultural prosperity and facilitated the reunification into the Middle Kingdom following the military conquests and diplomacy of the rulers of Thebes in Upper Egypt in about 2040. The Middle Kingdom restoration was also associated with large new water projects and intensified food production, including the expansion of cropland into a large, swampy depression fed by high Nile floods called Faiyum. It was the prosperity of the Middle Kingdom that may have drawn the biblical family of Jacob to Egypt’s delta during a period of drought and political upheaval in Palestine. A series of droughts weakened the central state’s power to resist Egypt’s first full-fledged foreign invasion. In 1647 BC, the Hyksos, a Semitic-Asiatic group of Bronze Age charioteers who had penetrated Egypt through the increasingly porous Sinai Desert frontier, seized control of the delta almost without resistance. The Hyksos conquest traumatically altered Egyptian history by forcibly ending the cultural sense of fixed order and security that its isolated, predictable river environment had provided for so long. When the hated Hyksos were finally expelled a century later and Egypt reunified under its New Kingdom, which would last half a millennium, Egypt assertively projected its cultural renewal outward through extensive foreign sea trade, military conquests of the Levant to the Euphrates and of Nubia in the south, and monuments of its native culture, such as the outsized temples at Luxor and Karnak, the modern Thebes. The New Kingdom renaissance coincided with three centuries of good Nile floods. Harvests were increased by the intensive use of an ancient water lifting device, the shadoof. The shadoof, which likely originated in Mesopotamia centuries earlier and reached Egypt gradually, could raise 600 gallons of water per day. The device itself was a long pole on a fulcrum counterbalanced by a bucket at one end and a stone weight at the other. Two men operated it. One filled the bucket while the other leaned on the stone to lift the bucket and pour its contents into an irrigation channel that carried it to small plots. The shadoof allowed Egyptian farmers to irrigate a supplemental crop outside the main flood season. In subsequent centuries, more powerful water-lifting devices were applied to the Nile. Archimedes’ screw, invented by Greek polymath Archimedes and introduced by Hellenic rulers in the century following Alexander the Great’s conquest in 332 BC, was a giant corkscrew encased in a long, watertight tube that raised river water through its grooves by hand cranking. Most important was the noria—a chain of pots attached to a large wheel turned by tethered oxen marching in a circle—which had arrived with the Persian conquerors in the sixth century BC. Noria pots filled up through dipping in the river and emptied their water into a pipe or channel as they descended from the apex of their arc. In first millennium BC Egypt, a single noria could raise water as much as 13 feet and irrigate 12 acres of a second crop in the off-season. It was also used to drain swamps for reclamation. By raising and redirecting heavy and bulky water, water-lifting technologies increased irrigated cropland by as much as 10 to 15 percent through the Greek and Roman occupations. The noria was so successful that it remained in continuous use until the twentieth century and the advent of electric and gasoline pumps. The noria was the water-lifting precursor of the seminal waterwheel, a transformative innovation that automatically harnessed power from flowing stream to ground flour and drove the first industries. The New Kingdom also derived great wealth from Egypt’s full embrace of foreign sea trade. Egyptians had been one of the first peoples to regularly sail the shorelines of the eastern Mediterranean. Old Kingdom vessels had regularly sailed to Byblos to secure precious, high-quality timber—so scarce in tree-poor, rainless Egypt—from the fabled cedar forests of Lebanon, to make boats, plows, and other vital tools of civilization. Pyramid illustrations show that as early as 2540 BC they ferried soldiers to Levantine ports in square-sailed ships that were simple adaptations of the river vessels that plied the gentle winds and currents of the Nile. Yet only with the reuniting of Egypt in the New Kingdom did sea trade become much more extensive. The spirit of the age was expressed by Queen Hatshepsut, one of the rare Egyptian female sovereigns and the first important queen of ancient history. Shortly after the start of her twenty-year reign in 1479 BC, inspired by an oracle of the god Amun, Hatshepsut launched a maritime trading expedition via the treacherous Red Sea to restore trade with Punt in the Horn of Africa, which was one of the two sources in the ancient world for prized, exotic luxuries like frankincense and myrrh, used for religious ceremonies and embalming mummies. The expedition returned with live frankincense trees that were transplanted in the queen’s gardens and inaugurated three centuries of thriving shipping and trade extending from Punt to the eastern Mediterranean. Cedars from Lebanon, copper from Cyprus, silver from Asia Minor, and fine crafts and Asian textiles arrived from the north. Invariably, Egyptian military campaigns in the Levant accompanied the increasing overlapping of economic interests. Yet although Egypt profited handsomely from this sea trade, it never transcended its Nile-centric legacy to also become a true Mediterranean maritime civilization. Light, oversized Nile boats never were built to venture far beyond the safe, known shoreline routes. To transship larger cargoes across the open waters, the Egyptians instead relied upon abler vessels and seamen from Crete, where the Minoans presided over the Mediterranean’s first great seafaring civilization. The Mediterranean provided the highway for three waves of raiders that began to attack Egypt at the end of the thirteenth century BC. The Sea Peoples were an eclectic collection of seafarers put to flight as refugees from their homelands by the invasion of Iron Age barbarians from inland mountains who disrupted Bronze Age civilizations throughout the Middle East. After about a century, following a campaign that included one of history’s early naval battles, the Egyptians finally repelled the last of the Sea Peoples, whose allies, the Philistines, settled in Palestine and would soon engage in battle with the Hebrews, who had earlier fled Egypt under Moses in search of new lands. Ultimately, however, the cyclic ebbing of good Nile floods marked a century of internal disorder and disintegration, while history’s ever-expanding geographic overlap of regional empires brought new waves of foreign invasions that ushered in the longest and bleakest of Egypt’s intermediate periods. For nearly four centuries, Egypt was subjugated by foreigners. Libyans, Nubians, and, briefly, the fierce, iron-weapon-armed Assyrians put their imprint on the Nile and its lands. A brief resurgence of native Egyptian rule occurred in the late seventh century BC. Under the ambitious Pharaoh Neko II (610–595 BC), Egypt established a powerful navy, while its armies won battles and seized land in the war-torn Levant as far as the Euphrates River. Neko followed a policy of opening Egypt to the thriving Greek world and sea trade. He is most renowned in water history for excavating the first documented “Suez Canal,” which he hoped would help Egypt compete in the Mediterranean. Neko’s canal did not follow the same route from the Red Sea to the Mediterranean as the celebrated nineteenth-century canal. Instead, it connected the Red Sea to a branch of the Nile, and thus could unite Egypt’s Mediterranean and Red Sea fleets of Greek-style galleys propelled by three banks of oars, known as triremes. It was dug wide enough to allow two vessels to pass each other. According to Herodotus, 120,000 died constructing it. Neko reportedly stopped work before completion when an oracle warned him that it would work to the advantage of his foreign enemies. In fact, the canal was completed after the Persian conquest under King Darius I, who ruled from 521 to 486 BC, to facilitate shipping from Egypt to Persia. The new Hellenic dynasty of Ptolemies that assumed power after Alexander the Great’s conquest hastened to dredge and extend the canal in the early third century BC. It was revitalized again in the early second century AD, under Emperor Trajan, during the height of the Roman Empire, but silted up under the Byzantines. The canal may have been opened and then later filled in by early Muslim rulers. 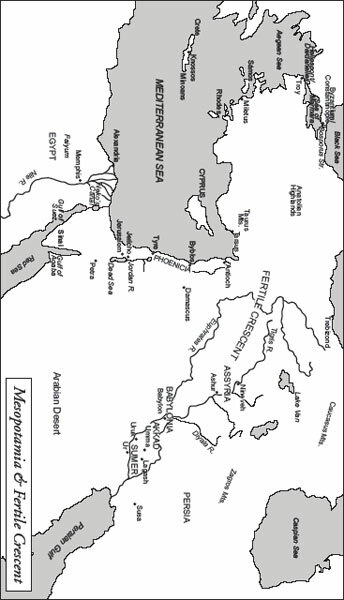 In the early sixteenth century, the Venetians and the Egyptians discussed reopening the Red Sea to a Mediterranean connection in response to the Portuguese creation of the all-water spice trade route to India that broke the long, profitable Venice-Alexandria stranglehold on the region’s trade with the East. But nothing came of it. Also fruitlessly, the Ottomans considered such a project during the sixteenth century; the sultan and the Christian king of Spain instead struck an armistice that allowed each side to focus its energies on fighting its own religion’s heretics. Thereafter, the water link between the Red Sea and the Mediterranean remained closed until 1869, when the world-changing geopolitical and engineering marvel of the modern Suez Canal was opened to world commerce and naval forces. Control of the Nile, and the caprices of its high and low floods, remained vital to the fortunes of all of Egypt’s subsequent occupiers. The Greek and Roman overlords from Alexander’s conquest in 332 BC to the fourth century AD, were blessed by good Nile floods and even rainfall, which facilitated an impressive expansion of cultivated land and intensified irrigation. For Rome, which took control in 30 BC, Egypt became the empire’s export grain breadbasket, vital to maintaining its armies as well as the daily bread dole for Rome’s legions of restive poor. The collapse of Byzantine rule to the Arab invaders in AD 640 followed a century of poor flooding. Three centuries of full Niles nourished Islam’s heyday. Recurrent low Niles during the tenth to eleventh centuries, however, ultimately undermined the rule of the Fatimid founders of Cairo. Due to its geostrategic centricity at a key crossroads of world commerce and politics, Egypt and its arterial river remained a pivotal theater in the struggle among the great powers through the centuries to modern times, including the nineteenth-century contest for global empire between England and France, and the twentieth-century Cold War between America and the Soviet Union over the Aswan Dam and regional influence in the oil-rich Arab Middle East. Ancient Mesopotamia faced far more complex and adverse hydrological environmental challenges than those posed by the Nile. Yet even earlier than Egypt, it developed a hydraulic-model civilization that reflected the resources, cycles, and flow signatures of its flooding, silt-spreading twin rivers, the Tigris and the Euphrates, that coursed through the heart of the Fertile Crescent in modern Turkey, Syria, and Iraq. The rivers of Mesopotamia—which in Greek means “the land between the rivers”—helped create the ancient world’s most precocious large civilization, featuring the wedge-shaped cuneiform that was mankind’s first written language, the first large cities, sophisticated water-lifting and irrigation technologies, the wheel, towering spiral-shaped ziggurat temples, and dynamic, expansive empires. Unlike the Nile, the twin rivers’ distinguishing characteristic was that their floods spilled and receded unpredictably, often violently—and always out of rhythm with the needs of the farming cycle. When water was needed most, during autumn planting and plowing, the rivers were at their lowest. In the late spring, the nearly full-grown plants were imperiled with ruin from swollen rivers that flooded suddenly from torrential rainstorms of thunder and sheet lightning. Having two rivers with many branches complicated the hydraulics of the farming floodplain. Spillover from the higher yet slower-moving Euphrates, for instance, often drained easterly into the larger Tigris. Due to their shallow gradients, both rivers were prone to meander and, during big floods, to cut new courses to the sea, stranding existing cropland and entire communities of their life-giving water supply. The key to civilization in Mesopotamia, therefore, rested upon skillful, year-round regulation of the twin rivers through extensive waterworks. Large reservoir dams stored water that was released in the growing season. Water was lifted to levels required to flood the furrowed fields. Strong protective dikes were needed to prevent flooding at the wrong time. A drainage network of sluices and diversion ditches was needed to combat waterlogging in the flat, poorly draining cropland. In short, if natural hydraulics made Egypt a gift of the Nile, Mesopotamia was an artificially contrived civilization whose success was achieved in defiance of the design of nature through the water-engineering ingenuity and willful organization of society. In every way, Mesopotamia’s material, social, and political existence was more volatile and uncertain than Egypt’s. Instead of being protected behind a waterless desert barrier, its region was a natural crossroads of peoples, ideas, and goods, surrounded by potential raiders and rivals who lived in the rainy hills whose tributaries fed the twin rivers’ plains. Extensive commerce and conflicts between city-states, and constant invasions by ever-larger empires, marked Mesopotamia’s history. As the rivers’ resources came under better control, moreover, political power tended to move upstream, where cropland was unspoiled and strategic command could be exerted over the rivers’ unidirectional transport navigability and the region’s water supply. “A society dependent on water coming from a canal that could be blocked several miles upstream from the fields it served was extremely vulnerable to warlike attack,” writes historian William H. McNeill. “A position upstream was therefore always of supreme strategic importance in Mesopotamian politics and war, while downstream populations were always and inescapably at the mercy of whoever controlled the water supply.” From Sumer in the fourth and third millennia BC to Akkad under Sargon I in 2334 BC, Babylon under Hammurabi in about 1792 BC, Assyria by 800 BC, and the Persians by 500 BC, the preeminent centers of Mesopotamian civilization moved generally upriver and its irrigation zone widened. The Tigris and the Euphrates both rose in the Anatolian highlands of modern Turkey. The Euphrates started southwesterly through expanses of desert plateaus before veering sharply southeast to form the top of the funnel-shaped, flat floodplains with the southerly descending Tigris, which itself was replenished with snowmelt and runoff from tributaries flowing out of the Zagros Mountains of western Iran. The two rivers nearly merged in the region of modern Baghdad on the Tigris and ancient Babylon on the Euphrates, then ballooned gently to form the borders of the stoneless, easily farmed, fertile mudflats intersected with oft-shifting river channels of lower Mesopotamia, the biblical location of the Garden of Eden. South of the ancient Sumerian cities of Ur and Uruk, both rivers spilled into a full-fledged marshland rich in fowl, fish, and milk-bearing water buffalo but too swampy for farming. Finally, the rivers discharged their united flow into the Persian Gulf. It was in hot, river-rich lower Mesopotamia, where precipitation was too meager for rain-fed farming, that permanent settlements based on large-scale irrigation agriculture first took hold after about 6000 BC. In the fourth millennium, many hundreds of years prior to Menes’ founding of ancient Egypt, it flowered as Sumerian civilization. Everything depended upon mastery of the waters, whose secrets, according to Mesopotamian mythology, were revealed to man by Enki, the kind and wise fertilizing water god. Irrigation transformed Sumeria into a veritable garden, with abundant grains and nut and fruit trees, including the multiuseful date palm, close at hand. The Sumerians’ origins remain mysterious. It is suspected that they arrived by sea via the Persian Gulf. Their language was unlike any other known group, with a distinctive grammar and vocabulary. Sumeria was a civilization of walled city-states, each located about 20 miles apart, with their own stock of grain supplies used as payment in commercial transactions. About a dozen gradually rose to prominence. Uruk, just inland of marshes at the head of the Persian Gulf, was by 3400 BC the largest-known city on Earth, with more than two square miles within its walls. Ur, later the home of the biblical Abraham, was a port trading city on a since-vanished branch of the Euphrates with protective moats, canals, two harbors, a towering ziggurat temple in its center, and a population of 20,000 to 30,000. In Sumeria begins the original urban revolution, and the civilizing influence of the city throughout history. In every age cities stimulated commerce and markets, the exchange of ideas, the arts, the division of labor, specialization, and the accumulation of surplus for investment that lay at the heart of economic expansion and the rise of great states. The great cities of history were integrally linked to man’s uses of water and were, without fail, situated on rivers, lakes, oases, and seashores. City historian Lewis Mumford observes that “the first efficient means of mass transport, the waterway” was the most “dynamic component of the city, without which it could not have continued to increase in size and scope and productivity.” For ancient Sumerian city-states, the waterway provided the economic lifeline that brought copper and tin to make bronze, stone, timber, and other vital raw materials absent in Mesopotamia. Sumerian vessels traded long-distance with Egypt via the Red Sea and plied the gulf and the Indian Ocean at least to the ancient Indus River civilization, known in written Sumerian records as Meluhha, from which they acquired beads of carnelian and lapis lazuli, timber, gold, and ivory. The vital economic activity of the earliest Sumerian city-states, however, was irrigation agriculture. Each had its own farm work gangs comprised of many hundreds of farmers who worked large tracts of land that was owned, rented, or bequeathed by the gods. As in Egypt, coerced labor was done under schedules and regulations set by temple priests, who alone possessed the skills for calculating the changes of season, designing canals, and coordinating mass, collective effort. The religious provenance of the priesthood legitimized their taking large shares of the annual harvest surpluses for storage in the temple granaries. Violent, unpredictable floods that destroyed waterworks and entire cities were an omnipresent, terrifying menace. Indeed, in Mesopotamian mythology the quasi-divine status of kings and the state’s political legitimacy itself sprang from a purifying great flood sent by the gods to obliterate humanity and from whose watery chaos a new world order was born. The region’s flood myth centered on a single, forewarned family that survived by building an ark—the progenitor of strikingly similar stories in Hindu mythology and the Noah story in Genesis. Mesopotamia’s flood myth also reflected an acute awareness of water’s precariously dual nature as both potential life-giver and great destroyer, as well as the king’s obligation to avert floods while ensuring ample water for irrigation. Farming in Sumeria started around the tributaries and main stem of the Euphrates, which was slower moving, easier to control, and richer in nutrient-bearing silt, and had a wider floodplain, than the Tigris. The higher-elevation Euphrates at first used the Tigris as an overflow drain for waters that fed through the network of primary and secondary canals that fed irrigation to the crops. Eventually, some of the wider irrigation canals were made large enough to carry ships and barges. Crops were grown on miles-long earthen embankments set amid the watery plain between the rivers and controlled by a matrix of dams, dikes, weirs, sluices, and ditches. One benefit of this arduous, artificial irrigation was that it permitted year-round, multicrop farming that yielded larger stockpiles than Egypt’s single-crop basin system. Yet artificial irrigation also came with a terrible side effect that afflicted civilizations throughout history—salinization of the soil. Contemplating the desolate, scrubby modern landscape of lower Mesopotamia, the twentieth-century excavator of Ur, British archaeologist Leonard Woolley, puzzled over what had happened to the former brilliant civilization: “Why…if Sumer was once a vast granary, has the population dwindled to nothing, the very soil lost its virtue?” The answer, determined Woolley’s successors, was that increased salt accumulations in the poorly drained soil had depleted its fertility and the ecosystem foundation of Mesopotamian civilization. Over time, intensive irrigation farming had environmental side effects that undermined its sustainability. It tended to raise the level of groundwater to waterlog the soils, while water’s capillary action drew deadly salt toward plant roots. Evaporation, which was especially rapid in hot, arid Mesopotamia, left the telltale crusted salt residue across the once-fertile surface—crop yields fell until finally little at all could grow. Mesopotamian tablets from 1800 BC duly record “black fields becoming white.” To cope with salinization, the Sumerians shifted production from wheat to more-salt-resistant barley. In about 3500 BC, equal amounts of wheat and barley were being grown in Sumeria. A thousand years later, only 15 percent of the crop was wheat. By 1700 BC almost no wheat was being grown, and yields from both crops had declined by some 65 percent over seven centuries. World history is replete with societal declines and collapses caused by soil salinization. Ancient Egypt was spared crippling soil salinization and waterlogging only because the Nile’s propitious seasonal flooding and sloping valley drained away excess water and most salts in a timely manner. A second man-made environmental depletion also exacerbated Mesopotamia’s agricultural crisis—deforestation. Wherever humans have settled on Earth, they have chopped down trees—for fuel, houses, boats, tools, and agricultural-land clearance—until their habitats were denuded. Many now-barren parts of Mesopotamia, as elsewhere in the neighboring Mediterranean rim, were once luxuriously verdant. Deforestation made landscapes drier and less fertile. It reduced rainfall as well as the capacity of the soil to retain what did fall. More of the fertile topsoil washed away in torrential downpours—a malevolent expression of water’s power as history’s greatest soil mover, surpassed only by modern industrial man himself. In Sumeria the intersection of rising population and depleting agricultural resources finally created an unstable equilibrium wherein all easily irrigable cropland came under cultivation and the boundaries of city-states began to bump up against one another. Centuries of border conflicts over irrigation supplies and cropland resulted, including the world’s first recorded water war, fought intermittently with several arbitrated temporary settlements from 2500 to 2350 BC, between neighboring city-states Umma and Lagash. The war seems to have been started by upriver Umma, first by seizing disputed land for cultivation and then by breeching irrigation canals from a branch of the Euphrates. It was ultimately won by Lagash, whose preserved tablets provide history’s only account of the story. A decisive breakthrough for Lagash was its construction of an irrigation channel that gave it an independent water supply from the Tigris, and the ability to divert canal water supplying parts of Umma. The first signs of disintegration of southern Mesopotamian civilization had become visible as early as 3000 to 2800 BC, following an abrupt, disastrous shift in the Euphrates—archaeologists aren’t sure if it occurred naturally or inadvertently by man’s waterworks. The river’s course change displaced the water supply of prominent city-states, intensifying their life-and-death competition for water. Ultimate resolution of Sumerian city-states’ contentious water and cropland challenges came from outside Sumeria—in the form of military conquest and unification by an upriver Semitic dynasty founded by a commoner who rose to power, Sargon of Akkad. By legend, Sargon, who ruled from about 2334 BC, had a prestigious water pedigree: as an abandoned baby, he had been set to float in a basket along the river and found by a gardener—a mythic foundling-water motif later adopted in the Exodus story of Moses and in ancient Rome of the twins Romulus and Remus. He usurped power from a city-state king he had served meritoriously, raised an army, defeated the whole of Sumeria, and, like Egypt’s Menes some eight centuries before him, created the region’s first large, unified state. Its center was Akkad, a new city north of lower Mesopotamia whose location today is unknown, but may lie buried under modern Baghdad. Sargon’s empire absorbed Sumerian high culture and invigorated it with a centralized military and political system in which former city-state rulers became governors loyal to him, now exalted as a semidivine king of kings. Cultivation of wheat and barley expanded to unspoiled lands upriver, and agricultural estates were granted to loyal allies. Irrigation works were a vital lever of his political authority. A new system of taxation—whose effectiveness was an unfailing measure of state power throughout history—was implemented by which local farming income flowed to the central bureaucracy to solidify the empire. To obtain metals, timber, and other vital resources not readily available in muddy Mesopotamia, he traded with distant societies and waged military action in the Levant. Excavated large Akkadian cities fit the classic, hydraulic state pattern: large granaries of barley and wheat delivered by farm carts along paved roads, central state distribution of carefully measured rations of staples like grain and oil according to jobs performed and to age, and a central acropolis linking the states to the deities. Successful as it was, Sargon’s Akkadian empire lasted only a century, collapsing about the same time as Egypt’s Old Kingdom. While ancient legend attributed the collapse to “The Curse of Akkad” caused by an abomination one of Sargon’s heirs committed against the preeminent god of air and storm, Enlil, modern science has identified another explanation: regional climate change—the prolonged arid and cold period that gripped the Mediterranean area at the time. Regional climate change would also help explain the collapse of Egypt’s Old Kingdom during the same period. Archaeological soil evidence from the site of a major lost city in north Akkad has revealed that drought was so severe in one dirt layer corresponding to 2200 to 1900 BC that even the earthworms had perished. After a chaotic interval, imperial restoration was briefly achieved by southerly Ur. Records show, however, that despite the expansion of waterworks, Ur’s fragile revival was constantly menaced by poor barley harvests, floods, and neighboring enemies. Much later it was entirely abandoned to the desert sands, when the Euphrates changed course away from its walls and the gulf coast receded. Reunification returned upriver to an enlarged area after two centuries under a powerful new dynasty centered in Babylon, on the Euphrates. The greatest of the Babylonian kings was Hammurabi, who ruled for forty-two years after inheriting the throne in 1792 BC. Befitting the expectations of kingship of the era, Hammurabi proclaimed himself the divine “provider of abundant waters for his people” who “heaps the granaries full of grain” and strived to validate his legitimacy by delivering both. In the early part of his reign, he dedicated himself to the smallest details of essential internal developments, such as digging irrigation canals and fortifying cities. In the latter part of his reign, especially while establishing full dominance over Mesopotamia after 1766 BC, Hammurabi also used water as a political tool and a military weapon. To win loyalty and revive the old Sumerian heartland he had just conquered, for instance, he built a canal to serve its leading city-states. To subdue his great enemy city-state, Eshnunna, on a tributary of the Tigris near modern Baghdad, he dammed the river upstream and then released it in a devastating torrent. Withholding Euphrates River water was another weapon used with such deadly force by his son to subdue rebellious cities, including Nippur, Ur, and Larsa, that farmland in the far south turned to barren steppes and did not recover; the diversions proved difficult to reverse, causing many of the land’s inhabitants to migrate north. Hammurabi is most renowned in history for the world’s first written public code of justice—pithily summarized as “an eye for an eye, a tooth for a tooth”—which was inscribed on a seven-foot-high stone stele erected in Babylon’s main temple. The 282 laws of the Code of Hammurabi illuminated the conditions and primary concerns of ancient Babylonia. Prominent among them was water. Many laws dealt with the individual responsibilities for the operation of irrigation dams and canals, with penalties that reflected their critical importance to the order of Babylonian society. For example, Law 53 read: “If anyone be too lazy to keep his dam in proper condition, and does not keep it so; if then the dam break and all the fields be flooded, then shall he in whose dam the break occurred be sold for money and the money shall replace the corn which he has caused to be ruined.” Laws 236, 237, and 238 dealt with the restitution due by a negligent boatman to the owners of lost cargo or a sunken vessel. Hammurabi’s code also encompassed some political protections of the private property rights and contracts of merchants, whose trading activities brought needed goods to Mesopotamia, and a surprising many on the rights of women whose arranged marriages weren’t working out. Hammurabi’s five successors ruled from central Mesopotamia for 155 years. The subsequent centuries, however, were filled with regional upheaval, headlined by two great waves of barbarian invasion. The first was associated with the Bronze Age charioteers; the second, which subsided after 1100 BC, with the Iron Age invaders. Iron—and its later, harder cousin, steel—was one of world history’s most transforming innovations, comparable in impact to electricity or the computer silicon chip in modern times. As with these modern inventions and many other industrial technologies, iron production depended crucially upon skillful use of freshwater. Iron-making technologies that began in the Caucasus Mountains around 1500 BC were mastered in nearby northern Syria. Unlike the bronze alloy of copper and tin that was easily smelted at the temperatures of ordinary fire, iron ores required firing from much-hotter-burning charcoal. The absorption of carbon created “steeled iron,” which became famously hard when quenched red hot in water. Yet the quenching had to be skillfully interrupted in order to prevent too-rapid cooling that would result in a uselessly brittle metal. Nineveh stood on the Khosr River just above its confluence with the Tigris. The engineering challenge was that the Tigris lay too far below the city to raise enough water for the growing capital. Instead, between 703 and 690 BC, Sennacherib undertook three separate projects to obtain more water via the Khosr. First, he dammed that river 10 miles to the north and diverted it to Nineveh through an open-air canal. When that didn’t provide enough water, he augmented its flow by damming and rerouting 18 small streams and springs from the hills 15 miles to the northeast. When that still failed to satisfy Nineveh’s growing thirst, in 690 BC his engineers built a masonry dam at an oblique angle across a deep gorge to divert the water of another river through 36 miles of winding channels to feed the Khosr. At one juncture, a massive 1,000-foot-long, 40-foot-wide stone aqueduct with five arches was constructed to carry the canal across a valley toward Nineveh. Among other sophisticated hydraulic features of Nineveh’s elaborate and integrated water system was the employment of a water-pressurized, U-shaped, inverted siphon pipe to carry water across and then up a topographical depression. The Assyrians also institutionalized one of world history’s landmark breakthroughs in obtaining clean urban drinking water—the qanat. Originating in the hilly region of what is today eastern Turkey and northwestern Iran, qanats were long, deep, slightly inclined tunnels hewn through subterranean rock face into underground mountain aquifers and ran by gravity to lower-lying population centers. Being underground, they lost little water to evaporation—a major problem in hot environments. Their construction depended on iron tools and required sophisticated mining and engineering capabilities, including precise gradients and the cutting of vertical shafts for maintenance access and ventilation. The testament to the qanat’s great success was its ubiquity throughout central Asia and the Mediterranean rim, from southern Spain and Morocco to the west to northern India to the east. Romans built them when they occupied the region. They were mainstays throughout the realm of Islamic civilization. Spanish colonists introduced them, much later, in Mexico. Qanats even remained actively used into the twentieth century and provided much of Tehran’s water supply until the 1930s. Since qanats required large quantities of water to be drawn from deep wells in a confined space, they encouraged the Assyrians to innovate improvements in water-lifting techniques based upon wheel-based pulleys. The spread of qanats overlapped the sixth century BC development of the earliest Greek aqueducts. Between them, ancient Middle East and Greco-Roman engineering tried almost every water supply technique aside from river water pumping used by civilization until the nineteenth century. Sennacherib was famous in the Bible for his long siege of Jerusalem in 701 BC during the reign of King Hezekiah in response to a rebellion across Palestine against Assyrian hegemony. Jerusalem’s historical greatness in antiquity owed as much to its water supply as its strategic trade crossroads location. The city’s main water source was the Gihon Spring just outside its walls. Its pre-Hebrew occupants, the Jebusites, had connected the spring to the city by a 1,200-foot-long secret underground water tunnel to protect themselves against siege. Yet the tunnel became their undoing in about 1000 BC when King David discovered its whereabouts and Hebrew soldiers stole through it to take the city by surprise. David’s successor, Solomon, promptly solidified the new kingdom by expanding the city’s water supply with three large external reservoirs to feed the city’s internal network of cisterns and rain-collecting water tanks. Keenly aware of this history as he fortified his defenses in anticipation of Sennacherib’s siege three centuries later, King Hezekiah ordered the digging of a new secret water tunnel underneath Jerusalem to transport water from the source of the Gihon Spring to a reservoir inside the city walls. Cut through sheer bedrock with a precise gradient, the 1,800-foot S-shaped tunnel has carried water almost continuously for 2,700 years. In the event, all the rebel strongholds except Jerusalem fell to Sennacherib’s soldiers. Failing to find the hidden Gihon Spring or the secret water tunnel, the Assyrians decided to withdraw after Hezekiah agreed to pay a heavy tribute as reparation. One rebellious city that did not escape Sennacherib’s vengeance was Hammurabi’s fabled Babylon. In 689 BC he overran the city after a fifteen-month siege, looted its treasures, massacred or deported the population, and reduced its main buildings to rubble. He prepared to seal its doom by flooding it with waters diverted through channels dug from the Euphrates. At the last moment, however, Sennacherib’s son rescinded his father’s plan in deference to the city’s storied past; as king, he later rebuilt the city in an effort to wed Babylonians agreeably to Assyria. His leniency proved to be a grave political mistake. Within less than a century, Babylon had risen again, leading the overthrow of Assyria’s empire and sacking many of its great cities. Babylon’s revival reached its zenith under the reign of King Nebuchadrezzar II from 605 to 562 BC. Nebuchadrezzar rebuilt the fabled city with the concept that it was the organizing, renewing center of the chaotic universe, with resplendent ornaments within and without its immense, 10-mile walled perimeter and majestic gates. These included the spiraling ziggurat known in the Bible as the Tower of Babel and one of the ancient world’s seven wonders, the Hanging Gardens. The mechanically watered gardens were built by Nebuchadrezzar to please his Medean wife, who longed for the forested hillsides of her youthful home in what is now Iran. They are believed to have consisted of a series of terraced roof gardens of overhanging trees and plants rising on a mountainlike palace of stone balconies. Irrigation water was lifted in pots from the Euphrates by a tall noria waterwheel powered by man or animals, and flowed down from terrace to terrace. The stones were waterproofed, as were the walls of Babylon itself, against seepage by the use of viscous, tarlike bitumen. Babylon’s imperial revival did not long endure. The city finally met its doom on October 12, 539 BC, when it was overrun by the region’s rising new superpower, the Persian Empire of Cyrus the Great, in the aftermath of Cyrus’s major victory over the Babylonian army at the confluence of the Tigris and Diyala rivers—one of the many battles in history to be fought at strategic riversides. In an uncorroborated history of Herodotus, the city’s denouement came after a long, fruitless siege when Cyrus tried one last stratagem—manipulating the Euphrates River, which ran straight through the center of Babylon and presented the only soft point in its formidable defensive walls. He stationed troops near the river’s entrance and egress from the city. Upriver, other soldiers excavated a large diversion channel that redirected the river’s flow away from the city. As the river’s level to Babylon fell to “only deep enough to reach about the middle of a man’s thigh,” the Persian army waded across and successfully breeched the city’s floodgates before the Babylonian defenders inside realized what was happening. Cyrus and his successors, including Darius and Xerxes, built the world’s largest empire, stretching from the sands of Libya to the Jaxartes (modern Syr Darya) and Indus rivers in Asia, an area about the size of the continental United States. Its center was in the high Iranian plateau at Susa, east of Mesopotamia. They adopted and advanced hydraulic methods throughout their domain. They revitalized Mesopotamia by widening the irrigated cropland with a new grid pattern of canals, many of which were navigable by barges. An army of slaves dredged the waterways of silt. Salinization and waterlogging problems were mitigated by planting weeds when land was fallow to lower water tables and by trying not to overirrigate. As in classic hydraulic societies, the Persian sovereign visibly supervised big hydraulic operations, including allocation of irrigation water, which was distributed, in principle, to those who needed it most. It was they who introduced the water-lifting noria to Egypt, and who made the first systematic attempts to dam the main channels of the Euphrates and Tigris by constructing artificial cataracts as impediments to naval invasion from upriver; Alexander the Great, in his conquest of Persia two centuries after Cyrus, systematically removed many of them. Herodotus also reports that wherever the mighty Persian king and his armies traveled within his empire, he was careful to drink only water, properly boiled, from one single river near Susa. “No Persian king ever drinks the water of any other stream,” Herodotus wrote, “and a supply of it…is brought along in silver jars carried in a long train of four-wheeled mule wagons wherever the king goes.” Whether apocryphal or no, Herodotus’s assertion highlights the very real dangers posed by drinking water from any unknown source, as well as ancient beliefs in the mystical powers of regeneration and purification ascribed to special water sources. Until its fall to Alexander, the mainly land-based Persian Empire was the unrivaled power of the age. The chain of events leading to its ultimate undoing, however, started with its failure a century and half earlier to vanquish the upstart naval power of small Greek city-state Athens. In the Indus River valley of modern Pakistan, and later along the Yellow River in China, advanced ancient irrigated agrarian civilizations developed with familiar hydraulic patterns along flooding, silt-rich, navigable rivers in semiarid landscapes where precipitation was too sparse and unreliable for large, rain-fed farming. Until the 1920s, the advanced ancient Bronze Age civilization that thrived along the Indus from about 2600 to 1700 BC was lost to history. Its very existence had been discovered only accidentally when British railroad builders in colonial India unearthed some ancient bricks. Excavations revealed an enormous city of 30,000 to 50,000 inhabitants buried under centuries of Indus mud. Mohenjo Daro, on the lower Indus, was as large as any Mesopotamian city of its day and laid out in a carefully planned, rectangular grid with an elevated defensive sanctuary and a lower level. Later archaeologists uncovered scores of settlements and cities clustered along the Indus and the Arabian Sea shoreline of an entire lost civilization. They found a second, nearly identically designed giant city, Harappa, on a dried-up Indus tributary upriver in the Punjab (“the land of five rivers”), as well as a large port city linked to the sea by a mile-long canal. In all the Indus civilization occupied an area larger than its Mesopotamian or Egyptian contemporaries. The character of this civilization remains enigmatic. Its pictorial right-to-left written language is undeciphered. But it far antedates, and has no linguistic link with, the Sanskrit of the ancient Vedas and subsequent Hindu Indian civilization that inherited its domain. By every indication it was a classic hydraulic society. Its centralized, redistributive organization was suggested by the existence within its brick-built cities of capacious granaries for wheat and barley. The endemic malaria detected in the unearthed skeletal remains was a signature of the disease-bearing mosquitoes that bred in the standing water of irrigation channels and afflicted hydraulic societies everywhere. Typical of monsoonal habitats, irrigation methods apparently involved the storage of water during the wet season for release in the dry months. Trade artifacts show that the Harappan civilization probably had extensive sea trade contacts with Mesopotamia from very early on, and it is likely that Sumerian civilization had a similar stimulating impact upon its rapid growth as it had upon Egypt. Among the Indus civilization’s most intriguing features was its advanced urban hydraulics, which anticipated developments in ancient Rome by 2,000 years and the nineteenth-century sanitary awakening by 4,000 years. Its communal Great Bath at Mohenjo Daro, located in a building’s inner courtyard and sunken into a platform with entry stairs at either end, was a deep, large tank about the size of an average modern swimming pool with its own water supply and drainage channels, and waterproofed with bitumen. Whether it was used for ritual purifications as in later Hindu rites, hygiene, or social gatherings as in Roman baths is unknown. But its linkage to the extensive, underground municipal sewer network, indoor toilets, and water wells in its many two-story houses reflected a precocious understanding of sanitary water supply and waste removal that would be later rediscovered elsewhere as a necessary cornerstone of urban civilization. Perhaps the Indus civilization’s greatest mystery was why it suddenly disappeared from history around 1700 BC. It used to be thought that its abrupt demise was due to its being overrun by the invasion from the northwest of light-skinned, fair-haired, Indo-European Aryan horsemen and charioteers, cousins of the Germanic, Celtic, and Hellenic warriors, whose descendants eventually established the Vedic Hindu civilization both in the Ganges and the Indus river valleys. Yet by the time of the Aryan invasion, the Indus civilization seems to have been in severe decline. The main culprit, instead, was likely its unpredictable, fragile hydrological environment. The Indus valley was fed by two main water sources: snowmelt from the surrounding Himalayas and Hindu Kush Mountains to the north and west, and the intense deluge of the seasonal, highly variable monsoon. Rapid silt buildup in the flat floodplain made the Indus region highly prone to violent inundation. Like the Euphrates, the river’s notoriously errant tributaries frequently abandoned their channels to carve new routes to the sea. Increasing regional desiccation from climate change, with steady encroachment from the Thar Desert in the east, added to the hydrological fragility. From about 2000 BC, the Indus region appears to have been ravaged by many massive, destructive floods. Many dry riverbeds, including once-great tributaries of the Indus—and possibly a vanished twin river—provided widespread evidence of rivers that had radically changed course, forcing large towns and farms to be abandoned. Mohenjo Daro itself was rebuilt at least three times. In the end, unpredictable flooding, droughts, soil salinization from irrigation, and rising water tables likely undermined its sustainable prosperity and caused its population to decline and emigrate. The Indus civilization’s fall fit a common historical pattern. The vanished, 50-mile-long irrigation canals along the Moche and Chicama rivers in pre-Inca Peru, the large spiderlike canal systems built by the Hohokam, or “gone people,” native Americans in modern Arizona between AD 300 and 900, and the lost Pueblo societies that succeeded them there testified to the similar fate of many irrigation societies located in water-fragile habitats when subjected to water shocks, including long or intense periods of climate change. Ancient Petra, the rock-carved city in modern Jordan, based on seasonal wadi agriculture and caravan trade, collapsed in AD 363 when an earthquake destroyed its elaborate, cistern-based water system. The Maya in the rain-fed, poor soils of the seasonal tropical forests of the Yucatán Peninsula ingeniously built an advanced corn-and-beans-based civilization between AD 250 and 800 upon fragile water foundations marked by pronounced unpredictability of winter aridity and little perennial surface water. They did so initially by slashing and burning fast-regenerating vegetation and then, with greater productivity and population size, draining and dredging an array of irrigation canals and farming on raised earthen mounds and hillside terraces. They also carved deep, underground cisterns in the porous limestone bedrock to store fast-collecting, seasonal groundwater runoff for year-round domestic needs. The Mayan civilization’s rapid collapse and 90 percent population decline in three stages after AD 800 was likely propelled by several interrelated depletions that undermined its water resource engineering: deforestation from hillside farming as population pressures grew triggered soil erosion that cluttered its jungle canals and farming mounds with poorer soils and intensified regional aridity during dry seasons; as farm productivity suffered, internecine warfare for food increased among neighboring communities; the final blow was probably the onset of the worst long-term drought cycle in 7,000 years. The geographic pattern of collapses across the Yucatán Peninsula closely tracked the diminishing availability of accessible stored groundwater. When high civilization was reborn in India about a millennium later following the arrival of iron, it was centered first in the Ganges River valley, an altogether different habitat characterized by luxuriant forests, heavy, monsoonal rainfall, and a river system that carried several times more flow than the Indus. The iron ax was the key innovation that cleared the jungle, followed by heavy plows pulled by eight oxen or more to turn the fertile soil for planting. From about 800 BC, monarchies with hydraulic-state attributes based increasingly on large-scale rice cultivation that could sustain denser populations began to take hold along the Ganges from valley to delta. Increasingly powerful, centralized authorities directed the skilled and labor-intensive chores of timely field flooding and draining, water storage, diking, and building and maintaining canals and embankments. In time India’s two monsoons produced two harvests, which doubled rice’s intensified productivity. Over the centuries Indians developed esoteric arts for trying to read cloud patterns and ocean signals to anticipate the onset of the monsoons, which was critical for the timing of planting and the feeding of India’s population. To the present day, no satisfactory solution has ever been found to the unpredictability of the monsoon’s start date and the extreme variability of its volume, which remain the largest single variables in India’s economic growth. Ultimately, all of the northern half of India, from the semiarid floodplains of the Indus to the moist Ganges valley to the soggy deltas where the giant Ganges and Brahmaputra rivers spill into the Bay of Bengal, was united through the conquests of the “Indian Julius Caesar,” Chandragupta, founder of the Mauryan dynasty that established India’s first golden age, from 320 to 200 BC, in the aftermath of Alexander the Great’s retrenchment from the Indus. In a pattern of declines and restorations reprised throughout history, a second Gupta golden age, likewise hallmarked by large-scale, centralized waterworks, flourished from about AD 300 to 500 in the reunification of these distinctive, hydrological environments. To cope with the seasonal extremes of the monsoons, Indians from this period onward, particularly in the west, began to build hundreds of distinctive, elaborately carved, templelike stepwells, three to seven stories deep, that women and children descended to retrieve water stored from diluvial periods. Despite its superficial appearance of geographic unity, however, the Indian subcontinent was really a checkerboard of disparate hydrological and topographical environments that fostered local economic and cultural autonomy and defied easy political unification. No arterial waterway linked India’s independent regions into a coherent, politically unified society. Until the coming of the British colonial overlords in the nineteenth century’s age of steamships and railroads, no one managed to rule over all of India. Yet even Britain’s unification of the subcontinent would be short-lived. 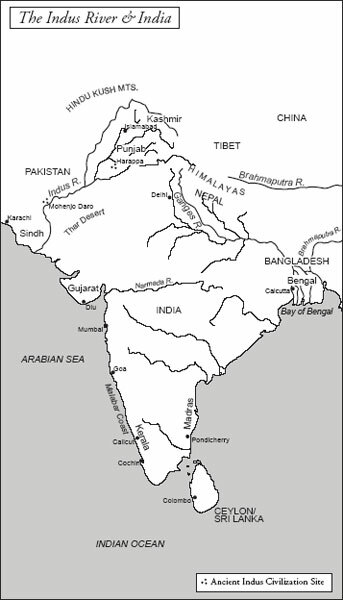 Following its independence after World War II, the three distinctive hydrological regions of the northern India heartland fractured asunder into three separate nations: Pakistan, along the spine of the Indus; India, along the main Ganges valley; and Bangladesh, in the swampy Ganges-Brahmaputra delta. In the center and south of the subcontinent there were other distinctive Indias, too. Coastal India, with its face to the sea, flourished as a key link in the ancient world’s expanding Indian Ocean trade network. Goods had moved by sea among India, Mesopotamia, Egypt, and Southeast Asia from the early rise of civilized societies. 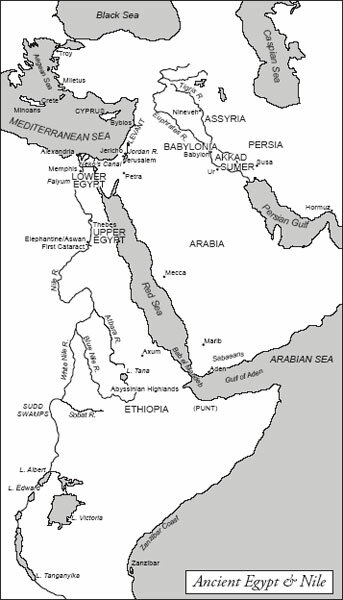 India traded by sea in the first millennium BC with the Sabaeans from the Arabian Peninsula in modern Yemen. The Sabaeans carried cargo, including precious frankincense and myrrh grown on trees only there and in Punt in Africa’s Horn, journeying overland by caravan to the Levant and Egypt. This east-west sea trade intensified in the first century BC when Mediterranean-world sailors in the Red Sea made the historic breakthrough of mastering the Indian Ocean’s two-way, seasonal monsoons to reach southern India. Shortly thereafter, sea trade routes were extended to the Malayan peninsula and the Spice Islands of modern Indonesia. In the waters of Southeast Asia travelers from the West exchanged goods with Chinese ships, creating a permanent sea link across the Old World, from China to the Mediterranean. In Muslim and colonial European times, the long-distance Indian Ocean trade route would become history’s single greatest highway to world power and empire. It would be paralleled by the overland central Asian Silk Roads that also connected China, India, and the Levant. Together, the sea and land trade routes from the Far East to the Mediterranean became the axis of a market-driven international economy, with India as both a central hub and a coveted object of subjugation in the ongoing power struggle for wealth and world leadership that accompanied the rise of a new maritime civilization based principally upon sea trade.